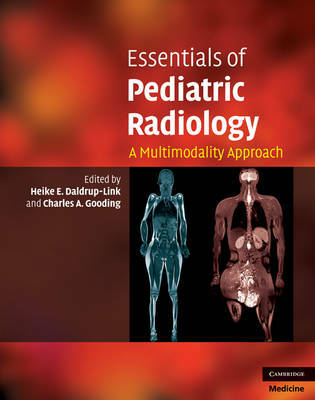 Essentials of Pediatric Radiology: A Multimodality Approach provides a concise overview of both basic and complex topics encountered by pediatric radiologists in their daily practice. Written by leading pediatric radiologists from renowned children's hospitals, it focuses particularly on multimodality imaging, covering the full gamut of radiologic diagnostic techniques, including conventional radiography and ultrasound, Doppler ultrasound, up-to-date CT and MRI techniques, and PET-CT. Each chapter is generously illustrated with high quality images, as well as graphs, tables, decision flowcharts and featured cases. Chapters are arranged according to pathologies, rather than organ systems, providing the reader with clinically-oriented information when employing 'whole body' techniques or analysing scans involving multiple anatomical sites. The book is complemented by an outstanding free access website of sample cases containing questions and answers that enable readers to test their diagnostic proficiency - see http://essentials-of-pediatric-radiology.com. A key text for pediatric radiology fellows, radiology residents and general radiologists, this is also essential reading for all pediatricians.